iluxenio,es una plataforma exclusiva para construir la casa de tus sueños. 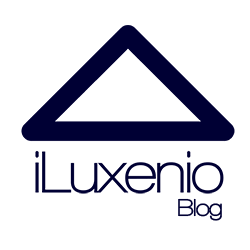 Welcome to the iLuxenio blog! iLuxenio is a web platform for you, that you want to build the house of your dreams. In this blog you will find all kinds of articles on luxury architecture, decoration and design, luxury lifestyle. In addition we will give you many tips and we will keep you updated on all kinds of trends in the luxury sector. Designs and projects of the most famous architecture professionals so that you can choose your desired style and location. From the initial meeting with professionals to the delivery of keys, at iLuxenio we are at your disposal throughout the process, we can consult on the team that works for you, the construction process and we will solve all your doubts. We are the platform that will allow you to discover and build the house of your dreams. If you’re looking for an exclusive building, sustainable and with the best professionals, this is your network. Visit iLuxenio.